No code needed. 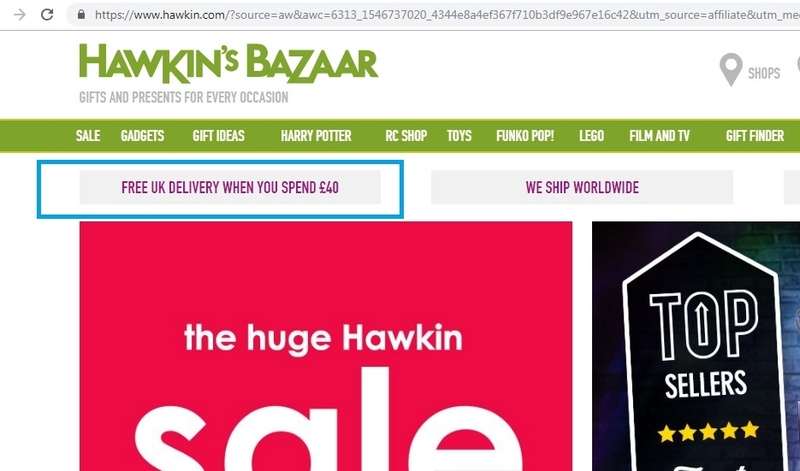 Click the button to redeem your discount at hawkin.com. Alice Laraine I am validating that this deal works as described. I have checked it and works properly. Just go to the website and add in your cart items for a value of £40+ to get this free shipping offer automatically at checkout, no code needed. Some exclusions may apply.